On the night of 26th of April, 1986, nuclear reactor of the Chernobyl (Chornobyl - Ukrainian) Power Plant near Prypiat suffered from a catastrophic accident during an erroneous test. The following explosion and fire released large amount of radiation into the atmosphere. 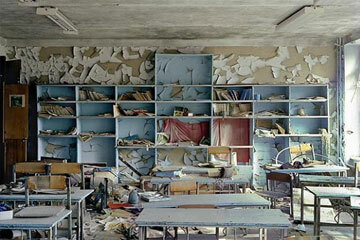 All population of Chernobyl, Prypiat and 30-kilometer exclusion zone was evacuated. It so happens that Chernobyl is one of the most distinguished points on Ukraine's map even more popular among foreign tourists than Kiev, Odessa or entire Crimean peninsula – we say this based on the number of individual visitors and organized tour groups making a beeline to Chernobyl and Prypiat. Twenty-six years ago, in 1986, just after Chernobyl nuclear plant burst, nobody could have imagined that this dangerous, dismal and awful place would become a well-known, noteworthy, and grim attraction in Ukraine. At that time, plant workers and nearby inhabitants were abruptly forced to flee their dwellings, not being allowed to pick-up their goods and chattels. Everything was left in place of the evacuation day: cars on the streets, furniture in buildings, children’s toys on playgrounds, books on shelves. And nobody had permission to enter this Zone for 25 years. 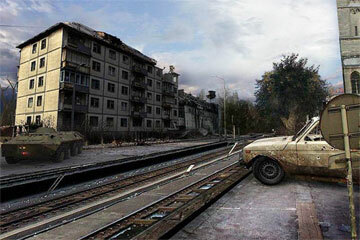 Who knows, it may be that computer games like "Stalker" with real Chernobyl sceneries or Hollywood blockbusters made these tours so popular, but we have a rising number of visitors desiring to visit abandoned city. That being said, Ukrainians are not eager visit Chernobyl and it seems this is partially because of ubiquitous dismal blocks in other cities they used to watch every day - our heavy heritage of WW2 and communism epoch. 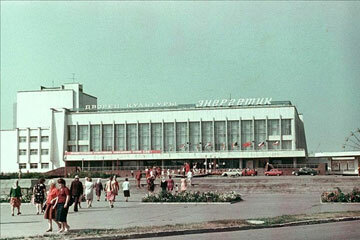 So you will not meet a throng of locals heading to Chernobyl zone. Nevertheless, Chernobyl tours offer much more than mere promenade between abundant buildings, picturesque ruins and forested squares. High and enduring radiation levels had striking effect on nature and ecology of adjacent territories. Red forest and enormous fish are just a few of the small manifestations of changes. Knowledgeable and professional guides will conduct you through the most noticeable places with stunning narrations in English. And finally, there is no reason to worry about personal safety; tourist routes were carefully investigated and checked, moreover, each visitor receives an individual dosimeter, more for comfort and curiosity than for real necessity. 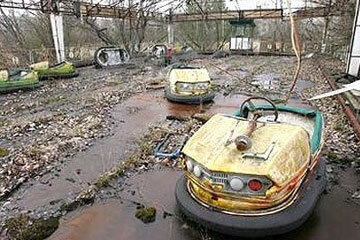 In addition, the contamination is still a problem in several places near and remote from Chernobyl plant. You can order an individual tour or join one of the group tours starting each day in Kiev at 9:00 am and finishing around 6:00 pm. Program includes visiting Chernobyl and Prypiat, photo stops, feeding monster catfish in the cooling duct near the plant, observing the Red Forest. Also (optional) you can visit nearby villages with rare local residents, which returned to their homes after evacuation. Each participant is supplied with individual dosimeter. Price for this tour is around 145 EURO and includes lunch. Important: your passport details are needed at least 14 days before visiting Chernobyl, since we have to apply for official permission to enter forbidden zone for each tourist individually. This extreme and dangerous unauthorised walk to Exclusion Zone is getting more and more popular among bored adventurers from many countries. These people are taking pleasure in illegal entry of Chernobyl zone and exploring it at their own risk. Often lacking basic information, they face a wide range of hazards inside Zone - from increased radiation fields, wild animals, dilapidated buildings which are ready to fall tomorrow- if not today, and unfriendly Ukrainian police patrols. However the highest sanction in case of being caught is only a monetary penalty.